Race t-shirts for the 5k/10k will be technical Craft long sleeve shirts in men's and women's cuts for adults. 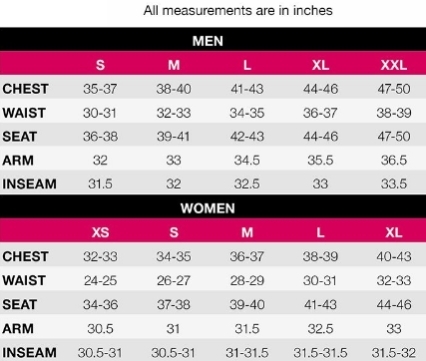 Here is the sizing chart for the Craft shirts. Youth sizes and Fun Run shirts are 100% cotton long sleeve in a unisex cut for both adult and youth sizes.